Located in Ellsworth, the 239-acre Branch Lake Public Forest is part of a 1,164-acre conservation area that includes a 3.1-mile network of hiking trails and a hand carry boat launch site. Excellent fishing opportunities for salmon, togue, and bass. Located in Goose Cove in the town of Tremont, Davis Wharf is a family-owned property that supports up to 12 commercial fishermen. LMF grant funds helped finance numerous wharf infrastructure improvements, including installing a large float and ramp to allow better access between tides. Donnell Pond Public Land includes more than 14,000 acres of remote forests with crystal clear lakes, secluded ponds, and mountains with breathtaking views. Located on the Schoodic National Scenic Byway in Sullivan, Gordon’s Wharf offers a panoramic view of Taunton Bay, a highly productive tidal zone. The wharf is the center of a community effort to celebrate the region’s granite heritage and local fisheries, and to promote public access to the sea. Located in Orland, the 4,700-acre Wildlands Preserve features scenic mountain summits, secluded ponds, and sustainably managed forests. 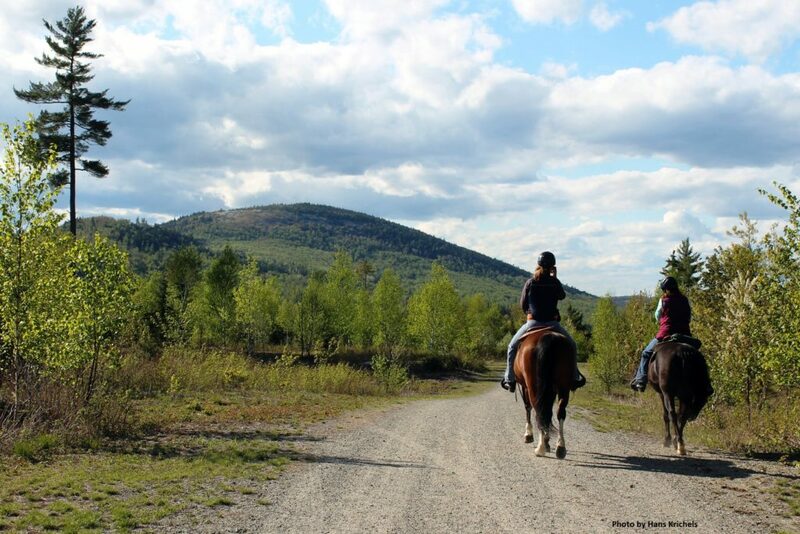 This preserve offers a wide range of year-round outdoor recreational opportunities including hiking, horseback riding, cross country skiing, mountain biking, hunting, snowmobiling, camping, and birdwatching. woods, over bog bridges, and down to a scenic point on the river. Located in Penobscot, 84-acre King Hill Farm is a diversified, organic family farm that grows a wide variety of produce, and raises beef, pork, chicken, and hens for eggs. The farm also takes pride in being an educational resource for school groups, colleges, apprentices, volunteers, friends, neighbors, and the community. Located in Sullivan, the 318-acre Long Ledges Preserve offers a network of more than five miles of interconnected hiking trails. The paths wind through an upland forest containing a small pond, vernal pools, granite outcroppings, glacial erratic boulders and a small overgrown, historic granite quarry. Located south of Swan’s Island, Maine Coast Heritage Trust’s 985-acre Marshall Island Preserve features miles of rugged hiking trails, remote campsites, and sandy beaches on one of the largest undeveloped islands on the eastern seaboard. A popular destination for boaters and experienced kayakers.